5.0 mL | 0.17 oz. Dr. Devgan's clinically proven eyelash growth serum for longer, stronger, thicker, healthier eyelashes and eyebrows. Platinum Long Lash is Dr. Devgan's proprietary eyelash growth serum, which has been clinically proven to grow longer, stronger, thicker, and healthier eyelashes. Platinum Long Lash harnesses the power of all-natural, over-the-counter ingredients, including provitamin B5 and clover flower extract, to improve the length and quality of eyelashes. Full results are achieved after 2-4 months, and results do vary from person to person. Many clients enjoy taking photos of their own lashes (with eyes open and closed) before they begin to keep track of their own eyelash growth progress. Each tube lasts a typical user up to 2 months, depending on usage patterns. With an innovative peptide complex, rich in Trifolium Pratense, Myristoyl Pentapeptide-17, Acetyl Tetrapeptide-3, Provitamin B5, Biochanin-A, and hair-stimulatory nutrients, Platinum Long Lash promotes lash growth, inhibits loss of eyelashes, and leads to visibly more beautiful lashes. Apply a small amount of Platinum Long Lash to the base of clean, dry eyelashes once or twice a day. Do not apply directly into the eye; if this should occur, rinse thoroughly with water. Consistent daily use is needed to see and maintain desired results. "The eyelashes add significantly to the beauty of our most compelling facial feature. Platinum Long Lash is a truly revolutionary product for promoting lash growth. It avoids many of the downsides of competing products like Latisse. 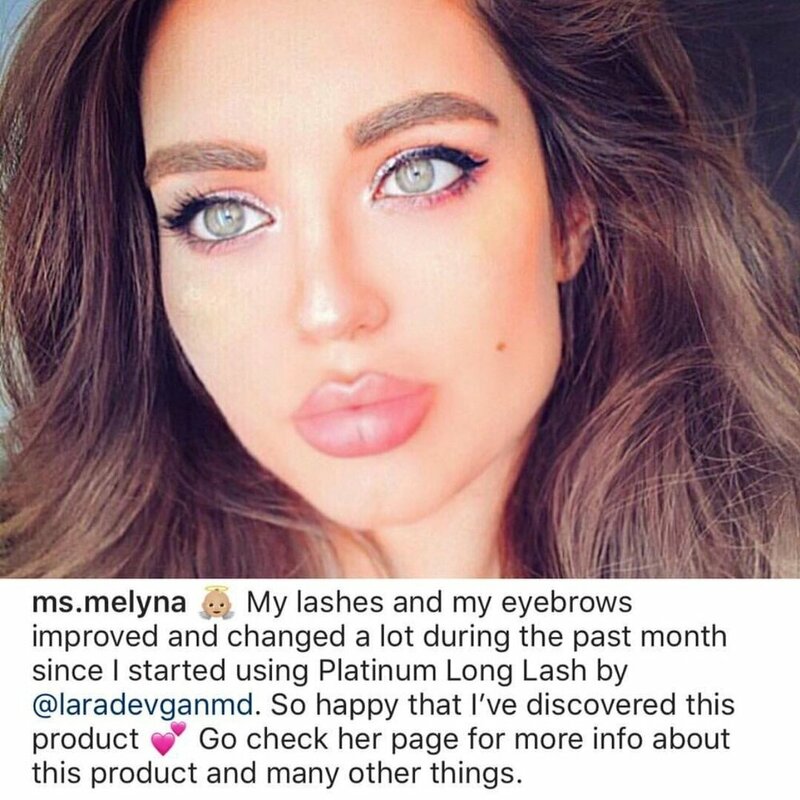 While Latisse is associated with darkening of the eye color, darkening of the skin around the eyes, and eye irritation, and is not safe in pregnancy or nursing-- Platinum Long Lash avoids these downsides," says Dr. Devgan.